The inviting display makes Ranger 3000 extremely simple to use. The LCD display is 57% larger than displays on other comparable products. 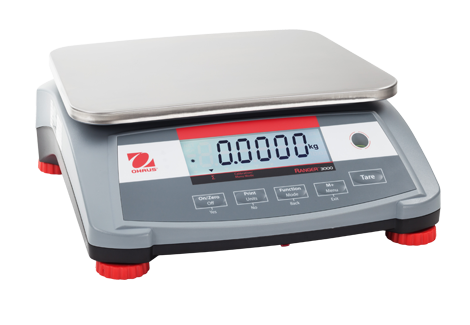 Checkweighing LED’s provide additional confirmation and clarification of results. The bright display makes Ranger 3000 ideal for use in dim settings. SKU: OHaus-rangercompactscale. Categories: Table Top, Bench Counting, OHaus.